It’s that time of year again, love is in the air – and all over the Wegmans vestibule. The divide between the “I love LOVE” people and the “I can’t wait for this Hallmark holiday to be over” people has never been more real. A day that’s supposed to be dedicated to celebrating love – whether its with a significant other, family, or friends – doesn’t have to include overcrowded dinner reservations with a limited menu. Our advice? Avoid the crowds by planning a day date that’s just as fun, if not better – all depending on your style as a couple (or crew!). Hiking in the winter doesn’t get enough credit. As long as the temps aren’t dangerous and you bundle up with the right snow gear, it feels great to get outside to breath in some fresh air. 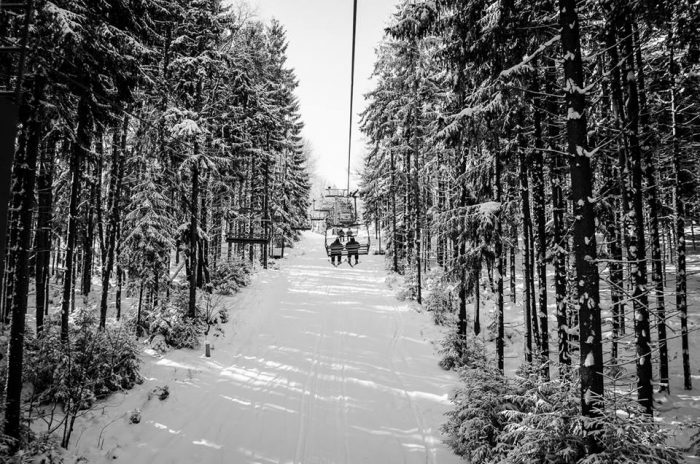 Take advantage of outdoor activities that stay open year round like the Mountain Coaster at Holiday Valley in Ellicottville or actually hit the slopes together – whether you’re old pros or need to take a lesson together (6557 Holiday Valley Rd in Ellicottville). 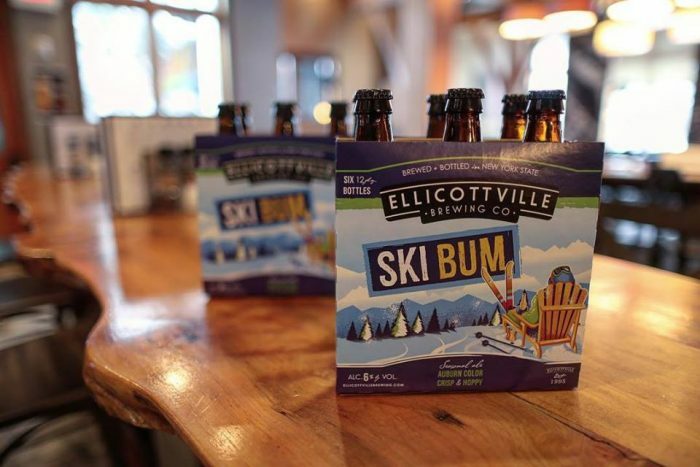 Go whipping through the slopes, taking in the snow covered hills, all while dreaming about the beer waiting for you at Ellicottville Brewing Co. afterwards (28 Monroe St in Ellicottville). You can take a nice hike through Chestnut Ridge Park (6121 Chestnut Ridge Rd in Orchard Park), finding the eternal flame and getting a glimpse of the frozen falls before heading to the toboggan shoots. As long as there’s a good amount of fluffy snow, the shoots are open for use. After, head over to Elm Street Bakery (72 Elm St in East Aurora) to split a dessert and hot cocoa. This isn’t everyone’s cup of tea, but if you love fitness and being active, try something new together that puts you both outside of your comfort zone. 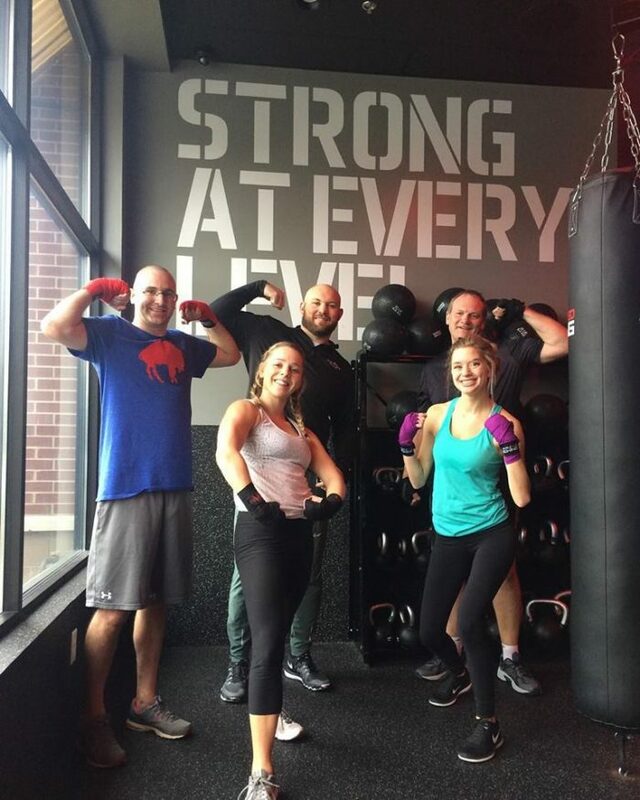 If you’re normally runners, sign up for a kickboxing class at Level Red Boxing (5933 Main St in Williamsville) then stop for some protein packed poke bowls for lunch at Fresh Catch (5933 Main St #101 in Williamsville) or cold pressed fruit and veggie juices at Squeeze Juicery (5419 Main St in Williamsville). If you normally take spinning classes, try a hot yoga class at Power Yoga Buffalo (758 Elmwood Ave in Buffalo/4575 Main St in Snyder/123 Grey St in East Aurora) or something totally out there like fencing lessons at Les Amis Fencing Club (693 Seneca Street Suite 305 in Buffalo). You might end up really loving something new and continue with it, plus it’s a great bonding opportunity. When trying out the ice bumper cars at Canalside for the first time (44 Prime St in Buffalo), all I heard was uncontrollable laughter for the entire time the cars were in motion. It’s a fun way to be silly and spend some time laughing together. 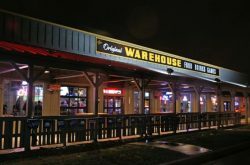 The only downfall is that it’s only 7 minutes, but you can round out the date by ice skating or ice biking after and splitting a pod at Pizza Plant after (125 Main St #110 in Buffalo). 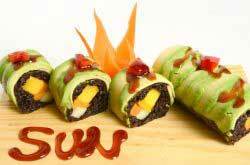 Misuta Chow’s (521 Main St in Buffalo) is a great place to channel your inner child, too. If you go during the day, you’ll avoid the huge crowds that roll in at night, and have the freedom to play whatever games you want and have a photoshoot on the hot pink, sparkly steps! Plus, their food is incredible. You can get fancy with the salmon roe deviled eggs with greens, red pepper flakes, and seaweed and the bao buns or go casual with their combination of two of the greatest college essentials. 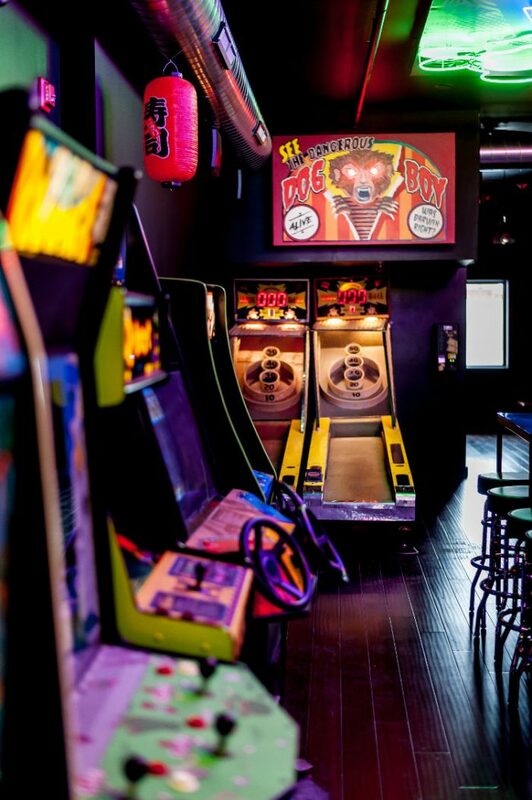 Whoever loses at skeeball can buy the first round of cocktails at the bar! 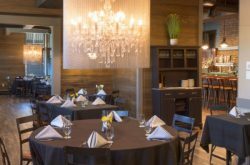 A wine tour along the Niagara Wine Trail is the perfect day drinking event for you and your girls. Hit up some local wineries and bring some bottles back to continue the party. 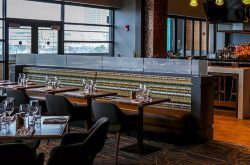 Although it’s more late afternoon/early evening, the Cork Head Wine Festival on the 16th brings all of the things you love about a wine tour to one location at the Hotel Lafayette (391 Washington St in Buffalo). The possibilities are endless. Don’t like wine (um, you’re weird)? Try group pole dancing classes at Pole Play (1444 Hertel Ave in Buffalo), GoPole Fitness (2495 Main St Suite 464 in Buffalo) or Electric Daisy Fitness (3495 Delaware Ave Suite 105 in Buffalo). Need to relax? Book massages at Massage Therapeutic Arts (160 North St in Buffalo)! It’s the perfect way to unwind before having a night in or putting yourself out there at the Anti-Valentines Day Speed Dating Party with Four Roses Bourbon at Thin Man (492 Elmwood Ave in Buffalo). Honestly, roll your eyes all you want, but I recently met a couple who’s married with kids that met at a singles night at one of those horrible dance “clubs” for underage middle school/high schoolers… crazier things have happened and you never know where you can meet your number one. Explore local food markets and collect items to cook together. If you find yourself near Grant Street, grab some dumplings at 007 Chinese Food inside the West Side Bazaar (25 Grant St in Buffalo) before hitting up Guercio & Sons (250 Grant St in Buffalo) for some fresh pastas and Spars European Sausage & Meats (405 Amherst St in Buffalo) for sausage or double smoked bacon. If you’re near Elmwood, stop by the Lexington Co-Op (807 Elmwood Ave in Buffalo) to grab some seasonal fruits, veggies, wedges of various cheeses, and freshly baked bread or pick up a new seasoning at Penzeys (783 Elmwood Ave in Buffalo). 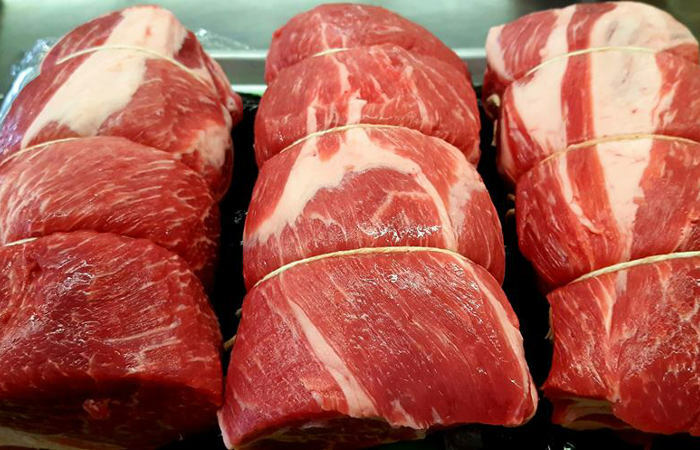 Shop for steaks at Camellia Meats (1319 Genesee St in Buffalo) or Johnny’s Meat Market (1191 Hertel Ave in Buffalo) and maybe get an almond ring for dessert from Wolter’s Bakery (5225 Sheridan Dr in Buffalo) before heading back. If you’ve found your fellow foodie in life, embrace it by taking the time to visit markets in the area. You can spend the rest of the night cooking together, watching a sappy love movies, and sipping some wine.